Cousins Alec and Shelby helped us to get ready to celebrate Max’s two month birthday by baking LOTS of cupcakes! 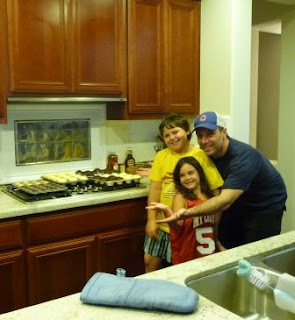 First they helped Uncle Sean to mix, measure, and pour the batter. 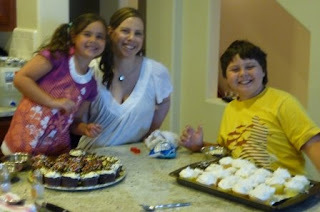 Then they helped Aunt Kim to frost and decorate them with sprinkles….I mean, jimmies. I hear that’s what they call them in Jersey! Don’t worry Max, your cousins will eat your celebratory cupcake for you!